There is a commercial about these boots so when I saw them at Fred Meyers the other day I had to try them on and they are really really comfortable, I already got a pair of boots but I got my eye on these for my next pair, either those or another pair of Georgia boots. 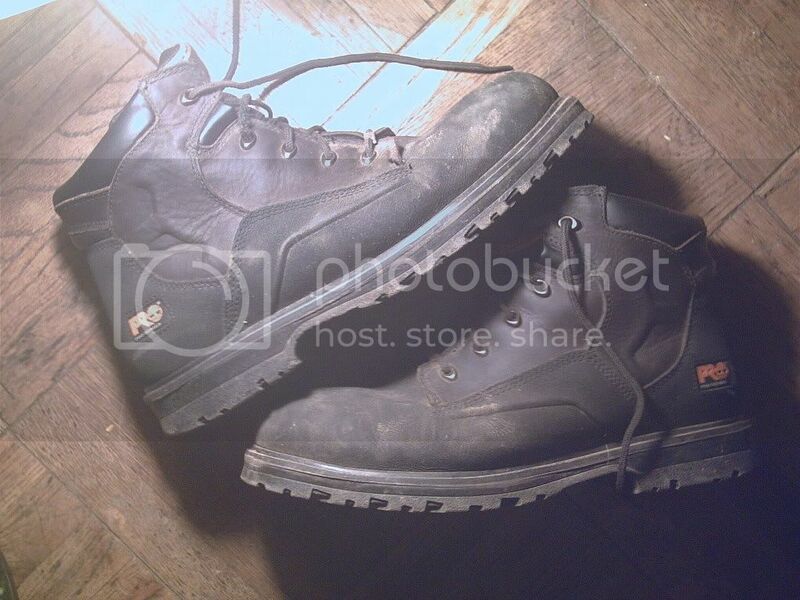 Anybody else see these boots or have them? I bought a pair about 4 months ago and I love them.Fri I was on a roof re-doing the wood,paper and shingles..I din't slip once.I really like how light they are yet they don't feel weak and cheap. I have a pair of the steel toed kind for work and love them. They're comfortable and last longer than any other boots I've had in the past.